The public has two opportunities to view the reenactment. The first is on Sunday, December 9, 2018 when the park will hold a full dress rehearsal from 10:00 am - 4:00 pm (actual crossing at approximately 1:00 pm). On this day, in addition to the crossing reenactment, special colonial-era activities and demonstrations throughout the historic village will provide families with a full day of fun and learning. Cost to attend the dress rehearsal is $8 for adults, $4 for children age five to 11, and free for those under five. Proceeds from the dress rehearsal support future programs in the park. There is no fee to watch the crossing itself from the New Jersey side of the river. The 66th annual Christmas Day crossing will take place from 12:00 noon to 3:00 pm on Tuesday, December 25, 2018 (actual crossing at approximately 1:00 pm). The Christmas Day crossing is free, and it is recommended that visitors arrive before 1:00 pm to ensure a good place along the viewing line. River crossings are contingent upon safe conditions for participants. However, even if conditions do not allow for crossing, ceremonies, speeches, and commemorative activities still occur. Washington Crossing Park is located at the intersection of Routes 32 and 532 in Washington Crossing, Pennsylvania. Individuals with disabilities who need special assistance or accommodations to participate in this event should call 215-493-4076. 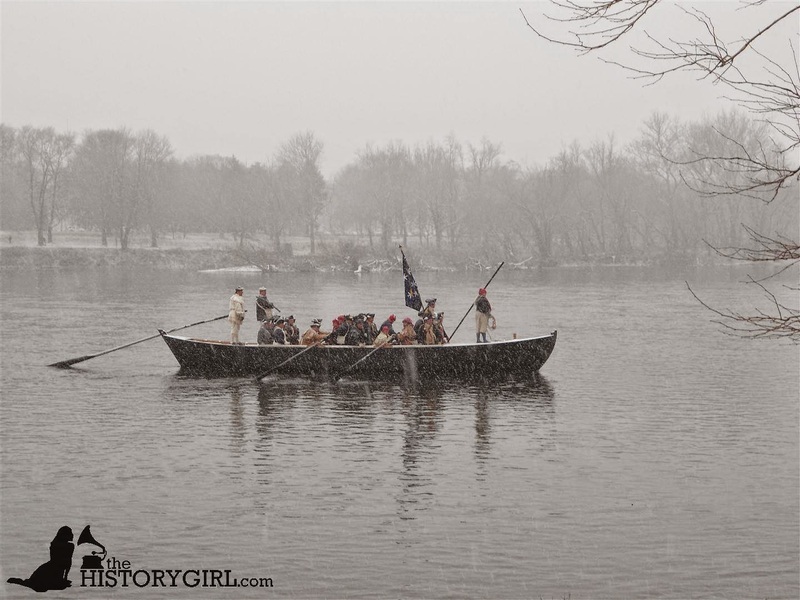 To stay up-to-date on what is happening in Washington Crossing Historic Park, visit www.washingtoncrossingpark.org.